To ensure that you have good floors in your house, say the experts at ThisOldHouse.com, just knock on wood. Nothing rivals the way wood warm ups a room, its classic good looks, or how long it lasts—qualities that earn it the distinction of being This Old House’s favorite flooring. Whether you’re laying a wood floor in a new house or replacing one that’s damaged beyond repair, there are dozens of species to pick from, including trusty domestics, such as oak and maple, and intriguing exotics, such as tamarind and acacia. You also have a choice of widths—be it rustic wide planks or traditional narrow strips—and stain colors, which allows you to tailor your floors to your house’s style and decor. And thanks to modern adhesives, a wide variety of species are available as “engineered” boards. Made from a stable sandwich of veneers, rather than solid stock, engineered floors can go places where it wasn’t practical to install wood before: over radiant-floor heating systems and concrete and in basements. Kitchen and entryway Choose a hard wood, such as oak or hickory, which can handle heavy foot traffic better than a soft pine. Bedroom and home office Rooms off the beaten path are good locations for softer woods, such as black cherry or black walnut. Basement Avoid using solid-wood flooring below grade, where high humidity prevails. An engineered wood floor is a better option here because it’s more stable. Bathroom Water can warp wood, making it a poor choice for baths with tubs and showers. Next, consider what surface will be underneath your wood floor. Plywood subfloor As long as it’s solid and flat, you can install any type of nail- or glue-down hardwood, as well as click-together engineered strip or cork plank floating floors. Existing wood floor Thinner boards with long-wearing factory-applied finishes are better here to ensure safe, no-trip transitions to adjacent rooms, hallways, and stairways. Concrete slab or tile Nails aren’t an option. Consider a click-together floating floor or one that can be glued down. Radiant floor Engineered flooring is ideal because it’s thinner and more stable than most solid wood. There are several other consdierations that you’ll need to take into account as you plan your wood flooring. 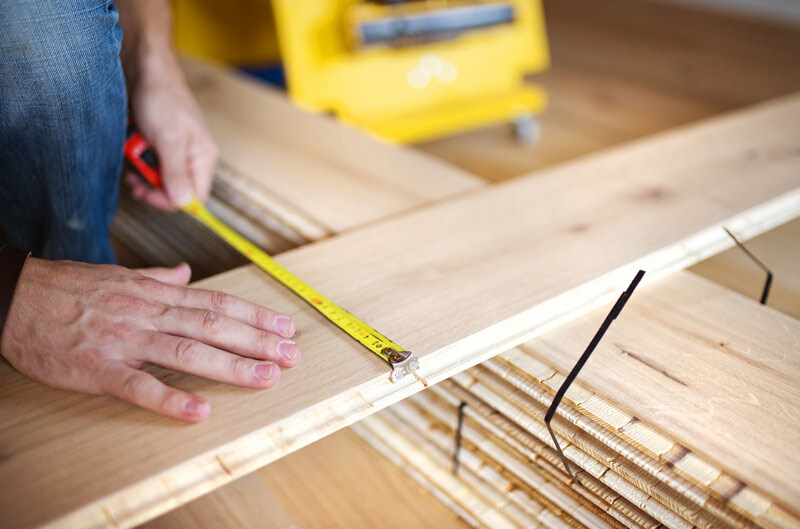 Thickness Solid ¾-inch boards can be refinished up to 10 times. Thinner ones can’t be sanded as much, but when topped with durable factory-applied coatings, they shouldn’t require frequent refinishing. Length Longer strips mean fewer distracting end joints. To make a small room appear bigger, use shorter strips. Width Six-inch planks have a rustic appeal, but the joints open wide during dry spells; 2¼-inch strips look busier but stay tighter. Mix widths for the best of both. Hardness The harder the wood, the less prone it is to dents and gouges. Mills sort each piece of flooring into different grades depending on the number of defects, such as knots and color variations. The fewer the defects, the more costly the wood. Just remember that the definition of defect changes from species to species. For example, knots are nonexistent in the best grade of maple and plentiful in the same grade of Australian cypress. If the ins and outs of wood flooring are more than you want to figure out on your own, then it’s definitely time to call Kuhn Flooring Gallery. They’ll help you understand all your options for Florida flooring and enable you to make wise choices for your Florida flooring. 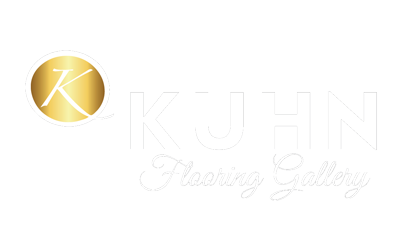 Whether you’re looking for flooring in Boca Raton, flooring in Pompano Beach or anywhere else in South Florida, Kuhn is the flooring gallery for you.